Anna Sweet ’04 (computer science) will be presented with a Distinguished Alumni Award on Oct. 19 during Brick City Homecoming & Family Weekend. 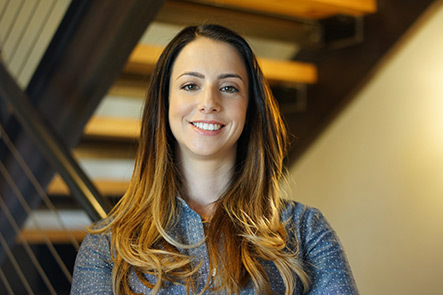 Always a trailblazer, Anna Sweet ’04 (computer science) was a founder of RIT’s Electronic Gaming Society and one of the first students to enroll in video game development classes, but pioneering a gaming career has been a lifelong pursuit. Sweet’s career has spanned esports, video games, social media platforms as well as virtual reality, where she had a hand in shaping the technology from a gaming novelty to a transformative medium. “I got to work on a lot of this generation of VR and see it reach consumers, inspire game developers and change the way we view entertainment,” she said. After having worked at companies like Facebook, Microsoft, Oculus and Valve, Sweet is now the senior vice president for Caffeine, a start-up that is building a unique live-streaming platform for the video game industry. Creating connections has been an overarching theme for Sweet both in and outside of the office. In 2015, Sweet and her husband, Nate Salpeter, started Sweet Farm, a 12.5-acre animal sanctuary and heirloom vegetable farm located in Half Moon Bay, Calif. Part of the farm’s mission is to educate people about the source of their food. “People get to come out to the farm and they get to meet the animals. They get to understand these are animals with empathy and intelligence,” she said. And while the labels “tech pioneer” and “farm owner” aren’t typically synonymous, for Sweet it’s still just about pursuing her passion. Sweet will be honored during the Presidents’ Alumni Ball on Oct. 19 as the B. Thomas Golisano College of Computing and Information Sciences Distinguished Alumna. 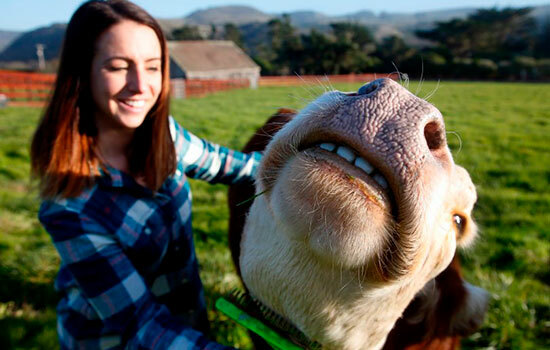 In 2015, Anna Sweet and her husband, Nate Salpeter, started Sweet Farm, a 12.5-acre animal sanctuary and heirloom vegetable farm located in Half Moon Bay, Calif. Part of the farm’s mission is to educate people about the source of their food.